You want to shift from problem-focused thinking to possibility-focused thinking. You desire to use your unique and personal power in a more meaningful way. You need something different than the status-quo. You know that we create our life, or it happens to you, and the choice is yours. You want clarity, excitement, calm, joy, and confidence in your life. The idea of having someone listening for your truths and reflecting them back to you sounds refreshing. You desire deep, focused, and meaningful conversation that propels you to make powerful choices in your life. You’re done with judgement-based thinking? You’re so over it. Possibility? Now you’re speaking my language. I am a visionary and a hopeless optimist by nature and a Personal Development Coach by trade. I’ve been doing this work for about 8 years and through my experience, I’ve come to know without question, that nothing is wrong with you and everything right about you just needs your attention. My super powers include intuition, gentle calling-out, holding up a mirror to your profound awesomeness, redirection of perspective, and lots and lots of love. 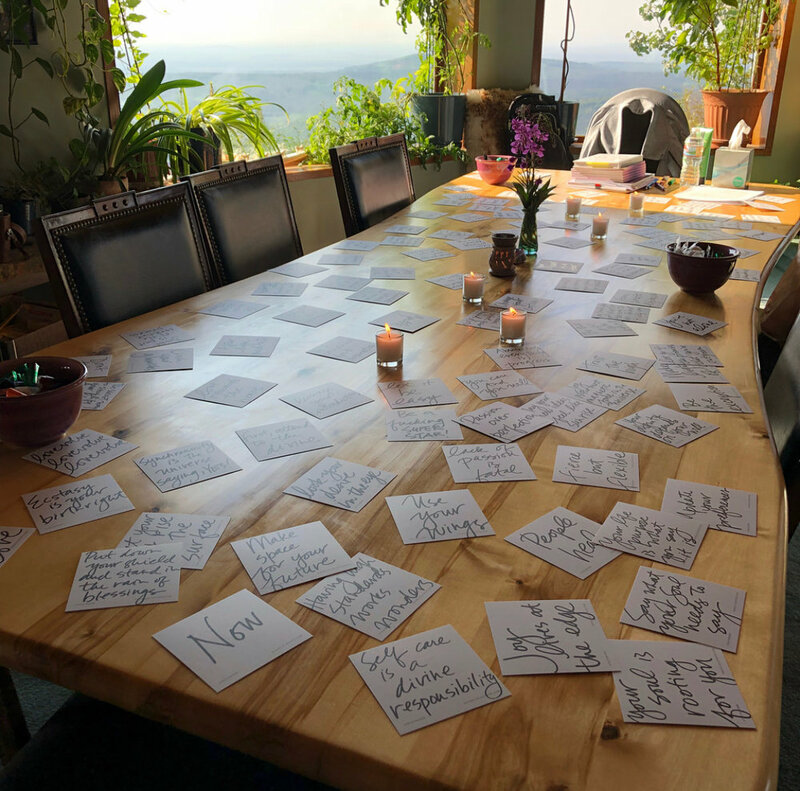 One of my curiosities, which ultimately lead me to coaching as a profession, is exploring, naming and claiming the super powers of others and putting them to work in their lives in transformative and sustainable ways. I typically work with people who know that being un-awake, un-aware, and disconnected is harmful on an individual level, but also on our collective karma. My clients know that who we are and what we contribute impacts many generations to come. I’m telling you, I engage with incredibly powerful people. You can be one of them, whether it be through a workshop or one-on-one coaching. I’ve got lots of ways for you to bring your brightest self to every single day. The beautiful souls I serve have big things to do in this lifetime and they are ready to put in the work to get out of their own way. You and I both want to infuse more purpose into the world. Let’s work together to do just that. There are many ways to work with me. Whether you’re looking for energy work, personal or professional coaching - I’m there. If you just need a session to gain clarity and make a big decision, no problem. Perhaps you’re more into on-going support and exploring many layers of what is keeping you stuck - let’s do that. You can choose a power session if you’ve got to really knock something out of the park ASAP, or you and I can work together for a while longer and explore multiple facets of your life.